Monday Night Combat is a multiplayer focused game that features two modes of play and a great cast of classes to control. Both modes of play allow you to level up and earn money, which is used to purchase call signs and custom slots that enable you to choose the perks you want for your favorite classes. 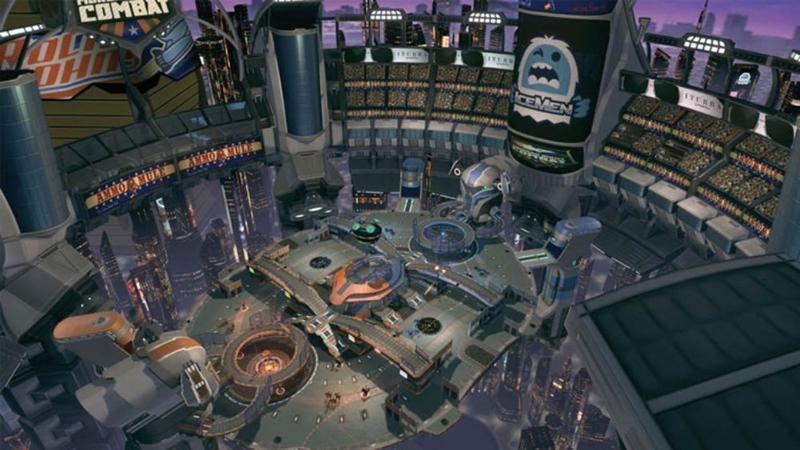 Blitz is a cooperative mode that supports four players taking on waves of enemy robots as they attempt to destroy your Money Ball, a golden objective that you must prevent the other team from reaching when playing Crossfire. This mode at first seemed like Horde mode, but there is an extra layer of game-play when you have to upgrade your turrets to better defend the money ball against the increasing waves and strength of the enemies. 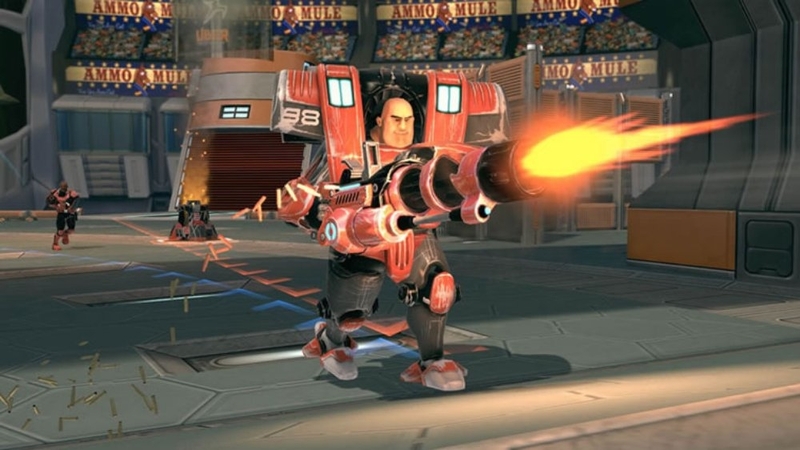 Crossfire is the competitive mode in the game where players battle it out to destroy the enemies Money Ball, while escorting your team’s robots to the enemies Money Ball so they can take down its defenses for your team to finish it off. The levels are nicely designed, but there is only a few as of right now, so maps can become very familiar pretty quickly. Both modes feature the Mascot, a character who comes in at certain times and dishes out money when shoot him, giving you a nice boost of cash to upgrade your defenses. Each team has access to all the classes available: the Assault, a well balanced class that comes equipped with an assault rifle and mines, the Sniper who wields…you guessed it a sniper rifle, the Assassin, a class with high melee damage and cloaking ability, the Support, a class who can heal teammates and create his own personal turret, the Tank, who can play a defensive role and protect other teammates, and the Gunner class who comes with a mini-gun to rip apart the enemy players and bots. All these classes seem to be well balanced, although great players who dominate with a certain class can still tear new players apart. 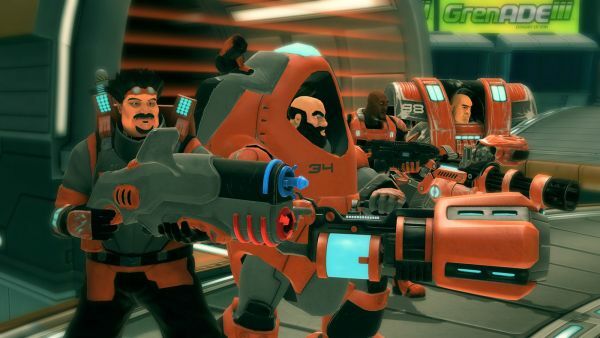 The visual look of the game may remind you of Team Fortress, as characters and environments look nice and cartoon-like with over the top animations to boot. It may not be original looking, but it still looks nice and fits the style of the game. Overall this is a fun and balanced multiplayer game for Xbox Live Arcade, with support from the developer and community could be played online for quite some time.